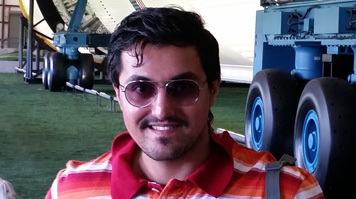 Mohammad Faisal Khan joined LSBU after initially studying an Oil and Gas Engineering Diploma in Kuwait. Looking to take his studies to a higher level, he was able to transfer credits from his diploma across to his degree, meaning he began studying with us in the second year of the course. In addition to his academic studies, Mohammad also undertook a number of projects that helped him to develop transferrable skills, as well as those from other engineering fields and skills in different software programmes. I love every aspect of my job - it’s an adventurous career, where I travel to different parts of the country and help clients to find energy resources, and I work with people from different backgrounds and experience. Read more about studying BEng (Hons) Petroleum Engineering at LSBU.